Asiad Steels is one of the well-known exporters, suppliers and manufacturers of ASTM A182 GR.F55 Super Duplex Steel Stud Bolts, which offers substantial life cycle cost benefits when used in stark and eroding conditions. ASTM A182 Super Duplex F55 Tie Rods can be used for chemical tanks, heat exchangers, refineries, shafts (marine, and so on) flanges, pressure vessel parts, fittings and pipes for offshore technology and oil & gas industries, seawater desalination plants and compressor components amongst a lot of other applications. ASTM A182 Super Duplex F55 Threaded Bars is also generally used for Paper and Pulp Industry: like in Digester Blow Valves, Black liquor heater tubes, Rotary Feed Valves, Precipitators, Brownstock Washers, Bleaching Parts, etc. ASTM A182 GR.F55 Super Duplex Double Ended Studs has outstanding resistance Crevice Corrosion and Pitting in seawater at high temp, provided by means of a Pitting Resistance Eqv. ASTM A182 GR.F55 Super Duplex Tie Bars is gamely weldable by using a lot of the usual electric arc welding procedures. However, oxyacetylene welding is not suggested for the reason that carbon surprise in the weld metal may perhaps happen. ASTM A182 GR.F55 Super Duplex Tie Rods features soaring resistance to chloride-rich and pitting corrosion atmospheres. 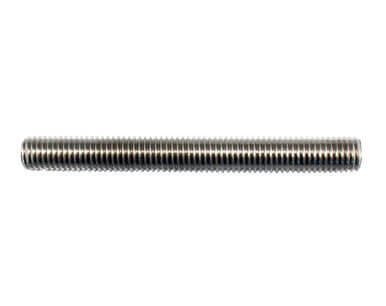 ASTM A182 GR.F55 Super Duplex Threaded Bars has a heightened crevice corrosion ad pitting resistance associated by means of the usual duplex or austenitic types. ASTM A182 GR.F55 Super Duplex Threaded Rods as well offers outstanding resistance to inorganic acids, particularly those comprising chlorides. 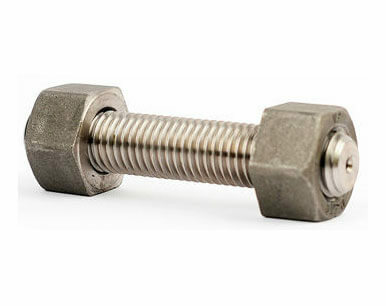 Buy Super Duplex F55 Stud Bolts in leading market price from us. We are Exporter of ASTM A182 GR F55 Studbolt in Worldwide Such as India, United Arab Emirates, Saudi Arabia, Bahrain, Qatar, Peru, Vietnam, Bolivia, India, Sweden, China, Estonia, Greece, Azerbaijan, Russia, Tibet, Morocco, Nigeria, Taiwan, Gambia, Afghanistan, Romania, Ireland, New Zealand, Colombia, Angola, Kazakhstan, Croatia, Germany, Kuwait, Libya, Iran, Hong Kong, Ecuador, Jordan, Algeria, Bangladesh, Turkey, Chile, Finland, Nepal, Kenya, Namibia, Singapore, Austria, Denmark, South Korea, Mexico, Mexico, Switzerland, Belgium, Nigeria, Pakistan, Mongolia, Canada, Portugal, South Africa, Gabon, Yemen, Thailand, Belarus, France, Oman, Macau, Czech Republic, Costa Rica, Netherlands, Spain, Sri Lanka, Poland, United States, Iran, Malaysia, Bulgaria, Trinidad & Tobago,Tunisia, Slovakia, Bhutan, Argentina, Hungary, Italy, Puerto Rico, Poland, Lebanon, Norway, Egypt, Lithuania, Serbia, Venezuela, Indonesia, Philippines, Iraq, Israel, United Kingdom, Australia, Ghana, Brazil, Zimbabwe, Japan, Ukraine, Chile. 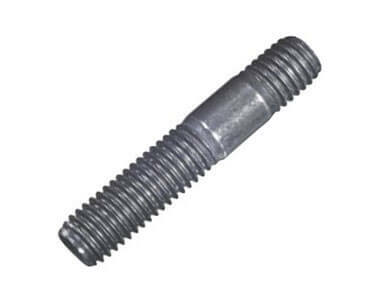 We are Suppliers of Super Duplex Steel GR F55 Stud bolt in India Such as Mumbai, Rio de Janeiro, Algiers, Navi Mumbai, Caracas, Kolkata, Jeddah, Melbourne, Sharjah, Bengaluru, Ranchi, Riyadh, Santiago, Busan, Surat, London, Toronto, Seoul, Pimpri-Chinchwad, Colombo, Brisbane, Hanoi, Granada, Nagpur, Gurgaon, Atyrau, Pune, Mumbai, New Delhi, Visakhapatnam, Lagos, Thiruvananthapuram, Los Angeles, Istanbul, Noida, Jakarta, Madrid, Tehran, Hong Kong, Cairo, Thane, Karachi, Vadodara, Doha, Geoje-si, Jaipur, New York, Sydney, Rajkot, Chandigarh, Kuwait City, Muscat, Petaling Jaya, Baroda, La Victoria, Ankara, Edmonton, Montreal, Dallas, Bhopal, Abu Dhabi, Dubai, Ahvaz, Nashik, Ulsan, Milan, Hyderabad, Bogota, Coimbatore, Vung Tau, Ludhiana, Gimhae-si, Haryana, Faridabad, Lahore, Secunderabad, Kanpur, Chennai, Kuala Lumpur, Moscow, Courbevoie, Singapore, Howrah, Port-of-Spain, Houston, Al Jubail, Ho Chi Minh City, Perth, Al Khobar, Ernakulam, Indore, Calgary, Ahmedabad, Aberdeen, Manama, Dammam, Jamshedpur, Mexico City, Bangkok, Chiyoda.